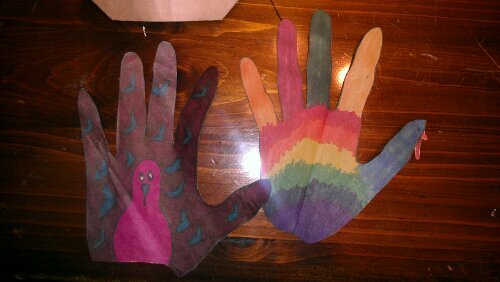 Hand print turkeys! Remember these? This year, Betsey Faye (my daughter/web administrator) and I opened up a paper bag, traced our hands, colored with marker (mine is the rainbow one,) then cut them out. So easy and so much fun!